In Battlefront II, out November 17, there will be a single player campaign. 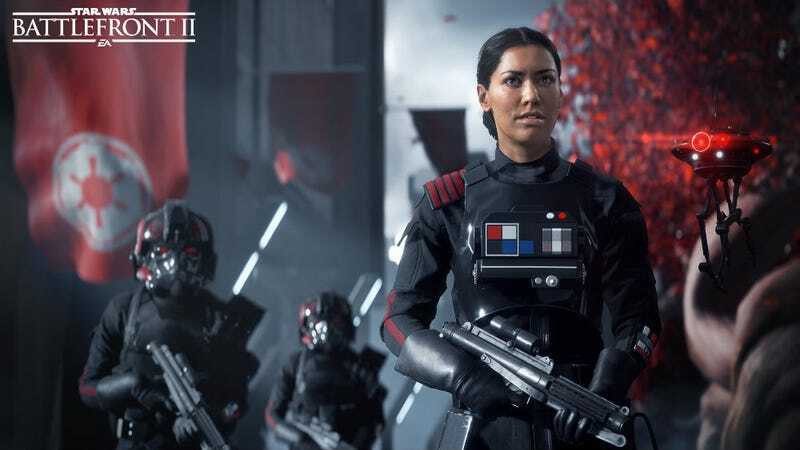 It’ll give you the ability to play as Iden Versio, played by Janina Gavankar, a special forces Imperial soldier who vows revenge on the Rebel Alliance after seeing Death Star II get blown up from the surface of Endor. The character wholly believes in the Empire and, for players, it’ll be a focus they are not used to: the eradication of the Rebellion. In addition to a hugely expanded multiplayer experience, the highlight of Battlefront II is this brand new, canon Star Wars story that puts players on the opposite side of the conflict. As the leader of the brand new, elite, Inferno Squad (who will get their own book later this year, out July 25), Iden was raised on Vardos, a brand new planet created for the game that’s kind of an Imperial utopia. There she was raised to totally and fully understand Imperial beliefs. Her team is the best at everything in the Empire: ground battle, flying, sabotage, spying, everything. So when the second Death Star blows up, Iden and her droid sidekick go off on a journey that will take her on a story spanning the time period between Return of the Jedi and The Force Awakens. (It also involves Operation Cinder, which fans will recognize from some of the new canon content) However, in the game, you won’t only play as Iden. She’s the primary “hero” but the campaign will also allow you to play as Jedi Master Luke Skywalker, Kylo Ren and other stars of the series. The addition of the multilayered, canon single player campaign is certainly the crown jewel in Battlefront II. But multiplayer has expanded too, now spanning all eras: Prequels, Clone Wars, Original Trilogy and Sequel Trilogy. (No word on Rebels characters. Fingers crossed for playable Thrawn). Among the confirmed names: Darth Maul, Yoda, Kylo Ren, Rey, Luke Skywalker, and, certainly, many more as we get closer to release. Also, players will be able to upgrade and customize the heroes much like the traditional troopers, giving them new abilities. The same will go for vehicles, which will be more numerous, varied (you can ride a freaking tauntaun! ), and easier to fly thanks to the team at Criterion, who was brought in to help with a frequent criticism of the first game. 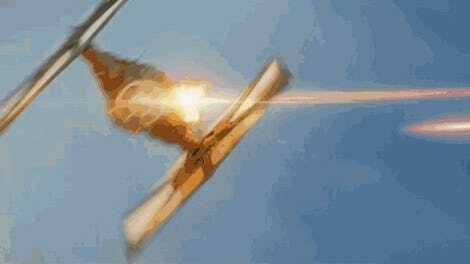 And, yes, there will be space battles. Players will start most multiplayer rounds as a traditional trooper (more on those in a sec) but acquiring vehicles and heroes won’t be the same as the first game. Instead of grabbing some kind of power up, they’ll be earned through various gameplay goals. Plus, even your traditional troopers will be able to earn heroic abilities that will allow them to stand toe to toe with the heroes. Also, there will be classes. As for those traditional troopers, the variety will be much greater than the original game. We saw resistance fighters, Imperial officers, First Order stormtroopers, and even, yes battle droids. They’ll all be playable along with many more to be revealed. But really, Battlefront II is all about Iden, a very different character who the team behind the game will eventually stand beside Leia, Rey, Ahsoka, and the other powerful women of Star Wars. Star Wars Battlefront II is out November 17. Here’s the key art, and you can check out the trailer here. Update: At the end of the EA panel at Celebration, it was announced there would be Last Jedi add-ons for tied to preorders. No details were given but there will be new costumes for Rey, Kylo Ren, new heroes from the film, a Last Jedi Millenium Falcon and yet-to-be-revealed First Order TIE Fighter. Here’s a glimpse of Kylo.